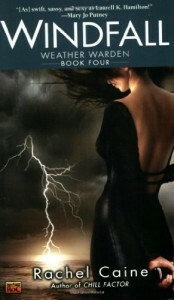 Windfall (The Weather Warden, Book 4) - Sally Ember, Ed.D. Another great volume in the Weather Warden series. This one had a slow part in the middle, but then picked up like a roller coaster and led to many surprising twists by the end. On to Vol. 5!